The Dangers of Swiping Chip Cards! Hopefully you’ve heard of the 2015 fraud liability shift, which places the blame on your business for all card present fraud when accepting counterfeit magnetic stripe cards. You’re dedicated to payment safety. Great! Your business is officially covered as long as it has an EMV terminal, right? This is unfortunately not the case if your not actually using the chip card reader. The dangers of swiping chip cards instead of dipping them into the slot could cost you thousands of dollars. Remember, always dip the chip! What’s the Level of Certification of Your Terminal? Apart from the other dangers of swiping chip cards, there’s bank initiated chargebacks. These can occur even if the transaction in question isn’t fraudulent. What happens is your customer’s bank notices a charge occurred at your business where the chip card that they issued to their cardholder was swiped. They can can initiate a chargeback without even contacting the card holder. Banks have begun doing this at random to incentivize businesses to dip their chip cards instead of swiping them. See how swiping a chip card cost this photography business $5,368.75. Are The Dangers of Swiping Chip Cards Worth It? As a financially savvy business owner, you should weigh the costs. Will fraud charges or an EMV terminal upgrade cost you more? What if your payment processor doesn’t offer level 3 certified terminals? What will happen to your business when banks stop making magnetic stripes on credit cards altogether? 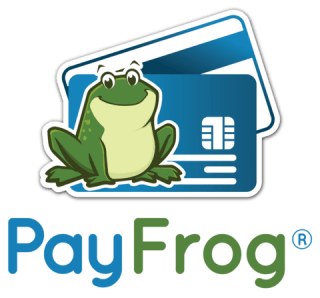 PayFrog can’t officially give your business legal advice, but we know for sure that protecting against fraud saves businesses a LOT of money. Plus, certain businesses can qualify for a FREE EMV Terminal upgrade.